Motorcycle Live is the UK’s biggest bike show, but that doesn’t mean it’s just for born and bred bikers. The show also presents the perfect opportunity for aspiring motorcyclists of all ages to try two wheels in a safe and secure indoor environment, under the watchful eye of qualified instructors. 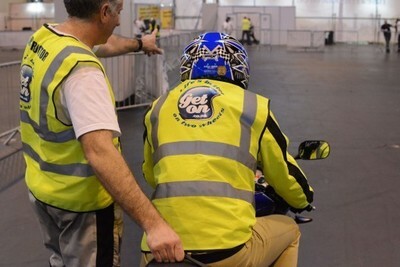 The industry-backed Get On campaign will once again return to Motorcycle Live, offering FREE 20-minute taster sessions on a 125cc scooter or motorcycle in a private, indoor area with expert tuition from fully trained instructors. Thousands of visitors have been through Get On in the last few years, with many getting the biking bug and going on to gain their full motorcycle licence. Younger visitors can also get their first taste of riding, thanks to a host of features aimed at kids and teenagers, including the Kiddimoto Children’s Fun Track for two-12 year olds, Honda’s My First Licence for 5-11 year olds, the Arenacross Youth MX Experience and the Try a Kuberg Electric Bikes feature for 5-12 year olds and Silverstone’s Rookie Rides for 11-16s. All kids’ features are FREE and are supervised by qualified instructors on specially constructed indoor tracks and circuits with all safety equipment provided. The perfect way for budding young bikers to start their journey! Motorcycle Live takes place at The NEC, Birmingham from 22-30 November 2014. Advance tickets are just £17 per adult, £11 for Seniors and £7 for children aged 11-16 (kids ten and under accompanied by a paying adult go free). There is also a £20 advance ticket, which includes entry to the show and a three-pack of Oxford Comfy neck warmers worth £15.